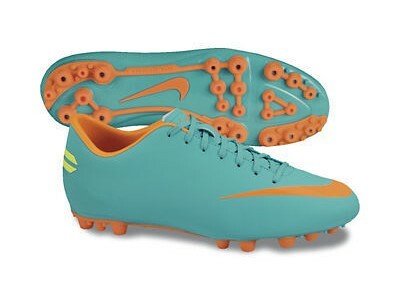 Buy the Nike Mercurial Victory IV Firm Ground Cleats, as worn by Cristiano Ronaldo here! 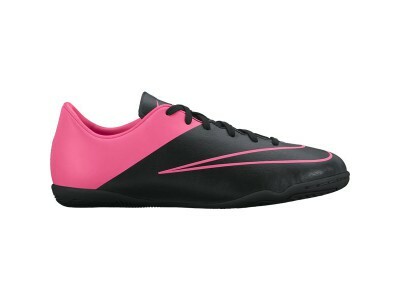 Fast, sleek, and efficient, Nike's Mercurial Victory is made for speed and precise ball control. The Firm Ground version of this footwear will give you the upper-hand on the field with advanced grip and high-tech cleats that will keep you fast and agile on the ground, just like Real Madrid's Cristiano Ronaldo. 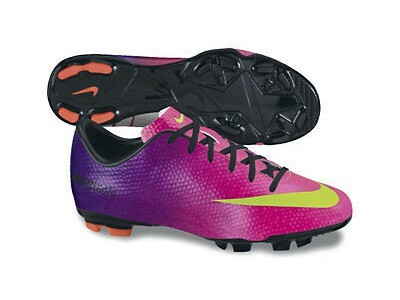 Play with style and stand out with Nike's bold Mercurial line of soccer cleats. 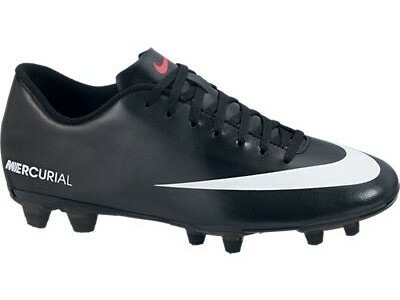 Part of Nike's bestselling Mercurial line of soccer shoes, these prestigious firm ground cleats come in Men's Sizes. 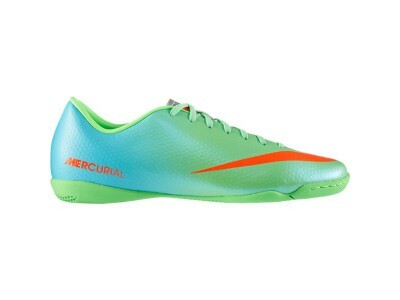 Buy the Nike Mercurial Victory IV Firm Ground Cleats now and conquer your opponents like Cristiano Ronaldo! The Mercurial Victory Firm Ground shoes are made for the field. 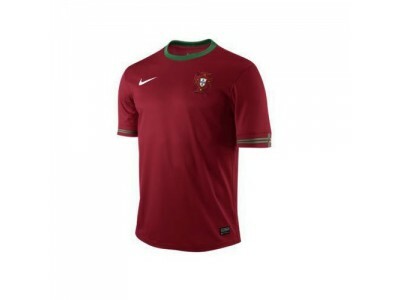 Engineered to complement your soccer skills and designed for playing on the soccer pitch, you can trust Nike's bestselling Mercurial line to give you what you need. Specialized cleats designed to clutch to the ground will keep you balanced, quick, and ready for anything. Physically built for maximum ball control, the Mercurial Victory keeps you one step ahead of the competition, just like Cristiano Ronaldo. 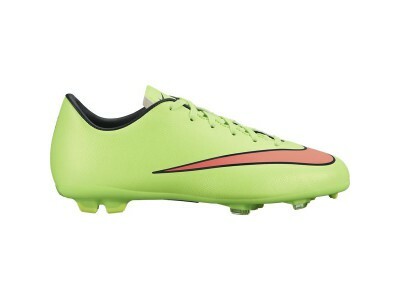 The shoe design is iridescent white with an electric green trim; a black Nike swoosh rounds the front and side. Black and bold, "NIKE" is formed over the opposing side.